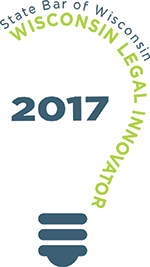 <p style="margin-top: 0; margin-bottom: 7px;"><img src="http://images.wisbar.org/Images/DigestEmails/PINNACLE_250w.jpg" alt="" width="250" height="56" align="right"/>Does your law library need some freshening up this spring? 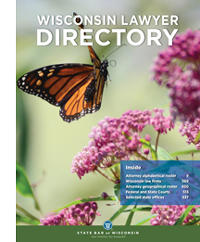 State Bar of Wisconsin PINNACLE<sup style="font-size: 12px; line-height: 0; ">®</sup> titles are regularly updated through supplements and new editions. If you’re not signed up for our free auto supplementation service, your books could be outdated, and you could get left behind on key legal developments. </p><p style="margin-top: 0; margin-bottom: 7px;">Signing up for auto supplementation ensures you always have the most updated versions of your PINNACLE print books. Not a print book person? Digital Books UnBound<sup style="font-size: 12px; line-height: 0; ">®</sup> titles are routinely updated with new supplements and editions in our system, so whenever you access a book via Books UnBound, you’ll always be reading the newest version. It’s a free notification service that ensures you receive updates to your print books automatically, as soon as they are published. Auto supplementation ensures you receive book updates right away, “hot off the press.” It also saves you money – you automatically receive a minimum of 10 percent off the regular member price of any update.